Keep your dormant trees happy with winter tree care in Lake Norman. Winter tree care is like a holiday gift to your trees at your home in Lake Norman, North Carolina. Keeping your trees healthy and safe during the cold winter months can encourage more growth and healthier, stronger trees all year long. Here at Top Notch Tree Services, we have all the knowledge and experience you need to provide all your winter tree care services. If you have large branches or limbs over your home or business, it is a good idea to support those branches or remove them before winter sets in. Breakage of limbs is more likely in the winter. 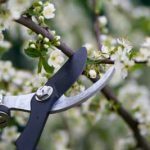 Winter is the ideal time to prune trees because of their dormancy. If you have a tree that is damaged by snow or ice, we can help. If you have young or immature trees, it is especially important to mulch or wrap them to protect them from cold winter temperatures. Fertilization and hydration services can occur in the winter. Protect trees against winter damage caused by snow, salt (from roads) and pests. If you are looking for winter tree care in or around Lake Norman, give us a call, and we can give you a free estimate as well as recommendations about what winter tree care services are right for your trees. We are fully insured and prioritize our efficiency and cleanup on every job. Other services include stump grinding, lot clearing, tree trimming and tree removal. Call today!